“On Saturday afternoon we went to see Schindler’s List, the Steven Spielberg movie about the man who rescued Jews from the Nazi concentration camps, saving thousands of lives. In later life, when I had got to know Spielberg, I told him how the movie had affected me more than any I had ever seen. Steven, being actually a rather modest person, probably thought I was exaggerating in that way theatrical people do, but I wasn’t. I was spellbound throughout the whole three and a quarter hours. We sat through it, missed our dinner and talked about it long into the night. There was a scene in it I kept coming back to. The commandant, played by Ralph Fiennes, is in his bedroom arguing with his girlfriend. He gets up to urinate, they’re still arguing and she is mocking him, just like any girlfriend might do. While in the bathroom, he spies an inmate of the camp. He takes up his rifle and shoots him. They carry on their argument. It’s her I think of. She didn’t shoot anyone; she was a bystander. Except she wasn’t. There were no bystanders in that situation. You participate, like it or not. You take sides by inaction as much as by action. Why were the Nazis able to do these things? Because of people like him? No, because of people like her. She was in the next room. She was proximate. The responsibility seems therefore more proximate too. But what of the situations we know about, but we are not proximate to? What of the murder distant from us, the injustice we cannot see, the pain we cannot witness but which we nonetheless know is out there? We know what is happening, proximate or not. In that case, we are not bystanders either. If we know and we fail to act, we are responsible. A few months later, Rwanda erupted in genocide. We knew. We failed to act. We were responsible. That’s an excerpt from Tony Blair’s political memoir A Journey. It’s early on in the book and palms up he’s casting a seed for the inevitable discussion about the various wars to come. A personalised, dramatised variation on the phrase “the only thing necessary for the triumph of evil is for good men to do nothing.” Did TB have that in mind at the time? Is the girlfriend in the metaphor the ‘good men’? In 2015, I’d hardly put the book down when the news media began following the movements of a young woman linked to another killer. We’re in Paris again and a lingering question formed – is she the girlfriend in the metaphor? And then I thought, what exactly did happen in that scene from Schindler’s List? The scene begins at about 1h15m with the camp commandant, whose character Fiennes has already developed way beyond a-nasty-piece-of-work, standing on a balcony overlooking the camp. There is no preceding argument, and juggling a cigarette he fires two shots killing two women. After the first Spielberg cuts to the young woman in bed putting a pillow over her head. After the second the killer walks into the bedroom and we hear the last shell case bounce as the next bullet is driven into the chamber. She throws the pillow at him. He laughs. He urinates. Assuming there isn’t another cut of this film, TB’s asking us to leap with him from; half-naked woman armed with a pillow at the point of a recently fired gun to; bystanders, proximate or not, being responsible for horrific acts of violence. And what of the ‘good men’? Aren’t women more likely to be bystanders in atrocities? Perhaps when they’re not the victims. It’s a good film, but more manipulation like this and I feel I’m unlikely to finish the book before the election. This entry was posted in Uncategorized and tagged books, politics, words on Tue 20 Jan 2015 by kevin hickman. Meeting tonight at 7:30 in Langdale Hall, Witney about Green Party member and Bampton resident Mark Wood and other disabled people whose deaths have been connected to the policies and actions of the government’s Department of Work and Pensions. Reported by the Oxford Mail and The Independent. I wrote to you about your constituent Mark Wood at the beginning of March asking you three questions. When we spoke in June we didn’t manage to get beyond the first, the discussion becoming mired in your government’s perception that GPs are too soft to do the right thing for their patients. That was disheartening, and all I left with was the assurance that a DWP investigation was underway and would report soon. So, here I am with yet another question: What is the result of the investigation into the actions of your government and the organisations they commissioned with regard to Mark Wood and his subsequent death? Tonight I shall attend a meeting in Witney at which Mark Wood’s sister will speak. No doubt Cathie Wood will question why Mark’s MP has subsequently done nothing to get to the bottom of what happened, and at least ensure disabled people like Mark don’t suffer unnecessarily in the future. He hasn’t been the only one; Gill Thompson will address the meeting on behalf of her brother David Clapson who died after being ‘sanctioned’. There are more. You’ve made much of your own family experience of disability recently. Since you’ve brought it up, valid as it is, it’s an experience of one disability in one family. The circumstances of other families living with other disabilities are very different. Are you sure your government is treating them with the same dignity you would wish for your own? I suggest to you that to date it hasn’t, and so I ask again, please make it stop. This entry was posted in Uncategorized and tagged disability, politics, society, words on Thu 27 Nov 2014 by kevin hickman. Four years into Oxfordshire’s latest transport strategy and here we are embarking on another multi-stage consultation for Local Transport Plan 4. The official reasoning makes a case for it but can the goals and objectives of a strategy covering two decades really have changed so much that it warrants starting from scratch? We’ll be taking a look at the detail following tomorrow’s Connecting Oxfordshire meeting at 7pm in Henry Box School. Connecting Oxfordshire conjures up the idea of places joined together, settlement to settlement, Carterton to Witney, Witney to Oxford, but that’s only one level of local transport. The hyperlocal is at least as important – how we move around within settlements – and it’s the one we consistently fail to make more efficient, pleasant and healthy. Travelling along better local transport links is one part of the solution, not having to sit in 15 minutes of congestion at either end is the other. The only major road project during four years of LTP3 to be planned, signed-off and (soon to be) built in Witney is the Ducklington Lane junction improvement. It started out with a £2 million budget and a brief to future proof it for a predicted 2030 level of motorised traffic. When the engineering contractor Atkins ran the junction through its capacity modelling software ‘computer said no’; it didn’t have enough lanes for stacking. That’s a technical term for temporarily parking vehicles at a junction so a queue doesn’t back up so far that it adversely effects the next junction upstream. more time could be retained for traffic movements. Stacking traffic is only part of the equation for a signalised junction, there also needs to be a enough time available to clear the stack during each light sequence so a growing remainder doesn’t back up over time. 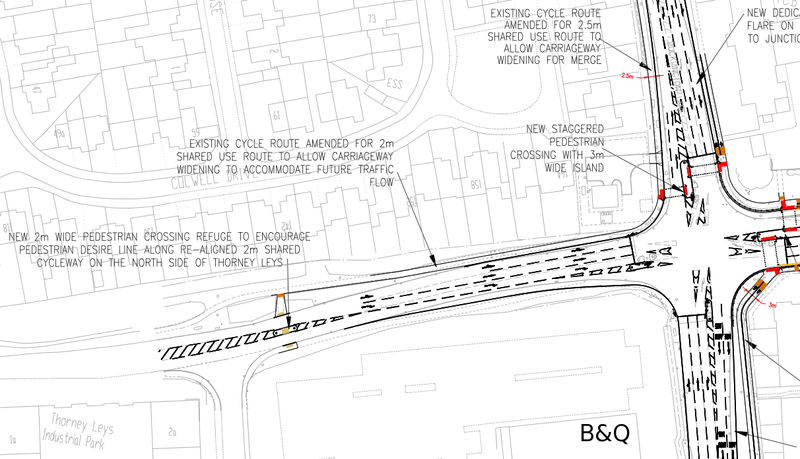 Adding a proper Toucan crossing to reach B&Q would scupper the junction’s maximum capacity in the traffic model. Despite bikes being regularly parked at B&Q, and people beating paths through the bushes to it, the traffic counts showed low numbers of people walking and cycling on the western arm of the junction, supporting the removal of the pavement along with the potential to cross there. If you’ve tried it you’ll know why; it’s relatively risky and far from pleasant. It’s so unpleasant and off-putting in fact, a sympathetic observer might conclude that the people counts ought to be multiplied by a factor of about 100 to take that into account. Traffic models can’t empathise neither can they model people walking or cycling. During the consultation bike users requested better access which resulted in a 2m shared path along Thorney Leys to an informal pedestrian crossing, with a refuge, to Thorney Leys Business Park. 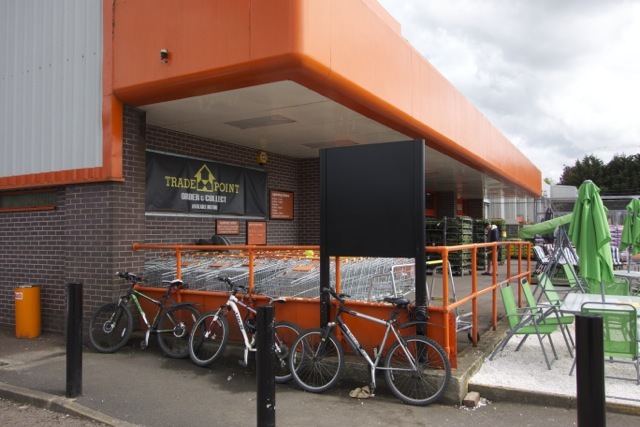 Oxfordshire County Council could not provide an official, safe and convenient bike route for the employees and visitors to B&Q and the rest of the businesses there. ‘Encouraging’ people to cycle and relieve congestion doesn’t yet stretch to giving them a place to do it. I don’t think we’ll get another chance to put that right for a very long time and this corner of Witney will continue to be cut off from the bike network for now, and will remain so when the junction eventually starts to operate at its designed capacity in the late 2020s. All that tarmac poured, rolled and marked out, sat there through rain and shine, developing potholes, waiting for that day. Does that sound innovative to you? So perhaps Ian Hudspeth, the architect of Connecting Oxfordshire, is right, the Local Transport Plan does need a revamp from the top down. I’m not so sure. Cycling and walking were high priorities for all settlement types in LTP3, including Witney, but that had no influence when it came to providing people with a safe and convenient option to cycle to Thorney Leys Business Park. Not considering walking and cycling until after the road layout for the junction was complete was a failure to plan for walking and cycling; good policy made no difference to an old process. Come along tomorrow and ask Ian how he’s going to fix that for short journeys at the hyperlocal level, as well as for the local transport links to and from Witney. 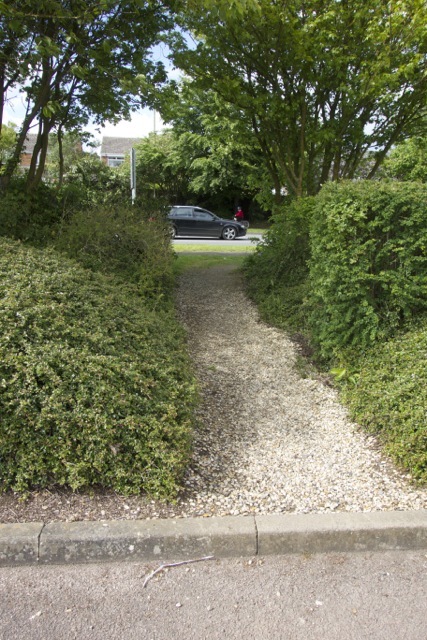 This entry was posted in WitneyBUG and tagged infrastructure, mobility, oxfordshire, planning, witney, words on Sun 6 Jul 2014 by kevin hickman. This entry was posted in Inclusive Cycling Forum 2.0 and tagged bikes, design, disability, infrastructure, mobility, wfw, words on Mon 30 Jun 2014 by kevin hickman. There’s a lot to read, research and review right now in the world of new, cycle-friendly infrastructure design, but you’ll find at least one familiar character doggedly plodding his way through from one version to the next – the dimensioned cyclist. I don’t know when he first appeared, perhaps there’s a bike-infra historian out there who does? I got into this campaigning game in about 2008 and at that time he could be found wobbling around in a 1m envelope with his twin brother in figure 2.2 of the DfT’s LTN2/08: Cycle Infrastructure Design. 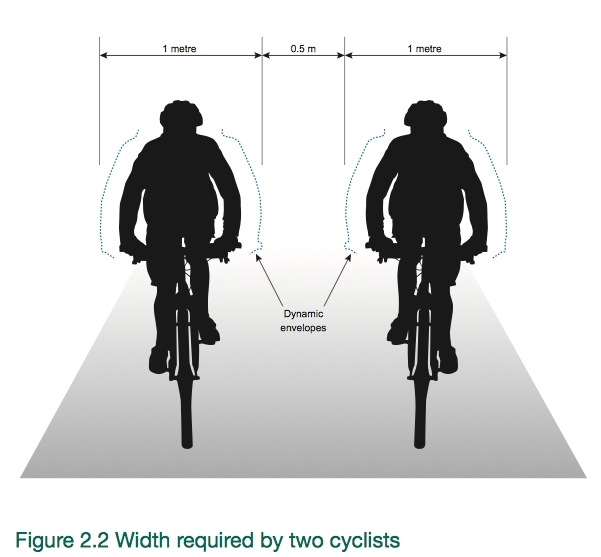 The last four years of austerity have clearly had an effect in London because he’s had to move with the times and confine his elbows to 75cm, his space budget slashed in figure 3.2 of the Draft London Cycling Design Standards by a whopping 25% (along with the graphics budget). Meanwhile, Sustrans, always aware of gender balance in its publications, has chosen to illustrate the width required by cyclists in its new design handbook with his sisters. Progress indeed. 2.6.1 Highway designers consider the dimensions of motor vehicles and their swept paths to determine carriageway widths, junction dimensions and parking layouts. The sizes and swept paths of cycles are usually irrelevant in the design of on­road cycle routes, but there are occasions where they need to be considered. Examples include the approach to a cycle gap, or the interface between the carriageway and an off­road cycle route. Failure to provide the room a cyclist requires can make some routes inaccessible or difficult to use, particularly for disabled cyclists, tandem or trailer users and parents transporting young children by bicycle. For comic effect I’m being a tad unfair to Local Transport Note 2/08 because it does mention the dimensions of a couple of other bike types, but my point is you won’t find a dimensioned drawing of any other bike type. Neither does it make them easy to picture or design for. Why are cycle infrastructure design gurus obsessed with diagrams of one type of bike? Is it because other bike types are too difficult to draw? Does showing a handcyclist in primary position feel too uncomfortable? Are bike cargo companies just a fad and not worth consideration in future cycle networks? I’d really like to know because along with other inclusive bike users it’s making my cycling life bloody miserable and turning me into a very grumpy bike-bore at parties. But hold on a second, section 2.6.1 appears to hold the answer to the problem of designing properly for different bike types – swept path analysis. As far as I know, despite it being a commonly used tool available to highway engineers and urban designers in their chosen CAD systems, nobody applies it to model the larger inclusive bike types in cycle infrastructure design. Just think of all that computing power and graphical game playing fun going to waste! This entry was posted in Inclusive Cycling Forum 2.0 and tagged bikes, design, disability, infrastructure, mobility, words on Thu 26 Jun 2014 by kevin hickman. With a to do list sagging under the strain of new documents landing on it, I did the sensible thing and allowed myself to be sidetracked by the latest Sustrans barrier design. Initially I was incredulous – hasn’t my (admittedly tiny) contribution to the sustainable transport charity’s barrier bureau been used to conjure up enough ways to disadvantage disabled bike users? Apparently not. This entry was posted in Inclusive Cycling Forum 2.0 and tagged bikes, infrastructure, mobility, words on Sun 11 May 2014 by kevin hickman. Gazing at the ceiling in Westminster’s Central Lobby on a comfy green leather bench. Beats waiting at the dentist. Are those bulbs in the candelabrum low energy? Judging by the blown ones they can’t be LEDs. Twenty five Watts each at a guess. Thirty two around the upper tier, sixty around the lower less the one where the holder’s dropped out. A rated total of… over 2kW. Looks like a job for Witney’s DFx Technology. Natasha’s been and gone, responding to the Green Card I filled out. She said David’s in the chamber. I knew that. I can hear his disembodied voice straining above the din of PMQs, drifting across on the sound waves from a distant TV. Pretty much everyone knows where my MP is midday most Wednesdays. Alan on the desk says Natasha’s checking again and she’ll phone the answer through but the Prime Minister’s bound to be busy. Freewheeling down the fast track to security the Bobby at the entrance called the same thing after me. I know he’s busy. What other reason could there be for not answering my letter over the past two months? Greg Barker’s here. Jeremy Hunt shakes a hand and leaves with its owner. Tour parties crisscross the octagonal floor and the young woman beside me asks if Prime Minister’s Questions is over yet. It is, sometime ago. She’s early. Didn’t think she’d make it in time what with the tube strike. Yesterday was a nightmare on the bus, but the tube’s running again today. Isn’t the ceiling lovely? We lean back. Alan comes over to share what he knew all along. My MP is too busy. This entry was posted in Uncategorized and tagged disability, politics, society, words on Tue 6 May 2014 by kevin hickman. Having sampled the Netherlands, why go to Belgium? Well, aside from the beer, the chocolate and it hanging handily on the end of the high speed Eurostar line, Belgium, or at least the parts we visited, is a country in transition in terms of local transport. Add the fact that it’s home to both the European Parliament and the European Cyclists’ Federation and it’s no big surprise the All Party Parliamentary Cycling Group should arrange a study tour to take in some of the best bike infra Belgium has to offer, along with some of the more challenging. 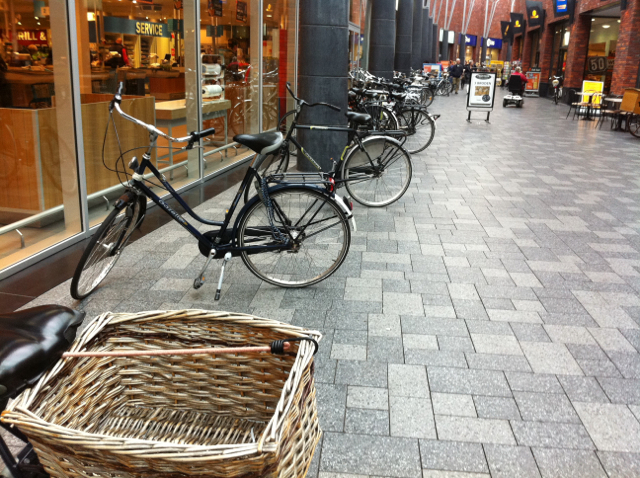 This entry was posted in Inclusive Cycling Forum 2.0 and tagged beer, belgian, bikes, disability, infrastructure, mobility, planning, politics, words on Tue 29 Apr 2014 by kevin hickman. This entry was posted in Oxfordshire Cyclist and tagged bikes, infrastructure, mobility, society, words on Wed 19 Mar 2014 by kevin hickman. Too little too late, but it’s the best that I can do. The ideals and actions that exacerbated a disabled man’s suffering and eventually resulted in his death have no place in a civilised society. If this affects you, even just emotionally, please ask your representative to make it stop. I knew Mark Wood. Not well by any means, but well enough to understand the extent to which he struggled with his mental health and as a result his physical wellbeing too. He was your constituent. I’m ashamed to say I didn’t know Mark had died until I read the news about the inquest into his death yesterday. I can’t imagine how his family must feel about being unable to help him. It appears that for Mark the desire to maintain his independence and remain in control over that which he could control contributed to his death. A desperately sad irony. I’m also deeply ashamed to find myself part of a society that withdrew its support from Mark. Support that up until last year had enabled him to cope with life and even to contribute to the community he lived in. That was a shockingly cruel act. 1. Why was Mark’s GP, the person best placed to assess his mental and physical health, not consulted about the life changing decision that led to his death? 2. Why is your government allowing the assessment of disabled people to be so poorly conducted when there is clear and mounting evidence of the scale of the mistakes and the harm that they do? 3. Why is your government intending to effectively remove from many disabled people the right of appeal against these decisions by charging them to do so? This entry was posted in Uncategorized and tagged disability, politics, society, words on Sat 1 Mar 2014 by kevin hickman. As part of the team working towards an inclusive cycling policy for London I gave a short presentation to the LCC Policy Forum this week. You’ll find the draft doc along with the other excellent presentations here. This is what I remembered/meant/forgot to say. Is there a connection between narrow, filtered permeability and the kind of imagery regularly used to represent cycling? This entry was posted in Inclusive Cycling Forum 2.0 and tagged bikes, disability, english, infrastructure, london, mobility, wfw, words on Sat 15 Feb 2014 by kevin hickman. Some lights in the home can’t be ‘greened’ by simply exchanging the bulbs with Compact Fluorescent Lamps. 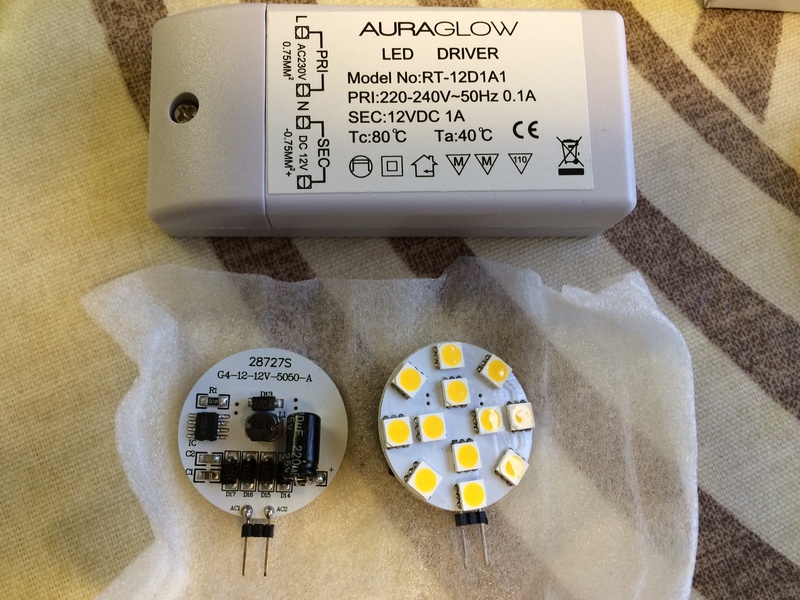 Two of the most popular light fittings in our house use halogen bulbs and when I looked into it a couple of years ago there simply wasn’t a more eco friendly solution available at a reasonable price. Now that’s changed – LED lighting alternatives have gotten cheaper and more abundant. This entry was posted in Sustainable Witney and tagged ecorenovation, words on Wed 5 Feb 2014 by kevin hickman. There’s a guy I see most weeks rides an old Raleigh Twenty Shopper around town. 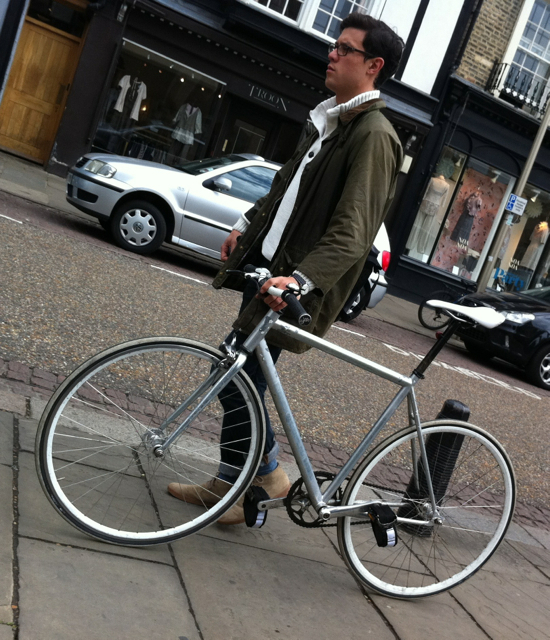 Like everyone else doing their own thing around town, once he’s parked up you wouldn’t know whether he’d walked, ridden or driven there, unless you happen to take a particular interest in people that ride classic british utility bicycles. Should that be allowed? To remain anonymous I mean. Many think not, and what’s becoming most disturbing to me is that it appears to be some of the self identifying champions of ‘cycling’ who are the most vociferous in calling for mandatory measures to make people on bikes stand out in the crowd. I’ve got a theory about the tension between an individual’s natural desire for self preservation and the negative effect that has on the group of individuals as a whole – it’s like an arms race where apparent gains are wiped out by an accelerating mutually assured destruction – but it doesn’t explain why someone would care about a stranger’s wellbeing at least as much as their own. What’s in it for them? Is it about fairness? Hell, if I’ve got to carry around all this extra stuff and stick out like a sore thumb then why shouldn’t you? Is it about trial by association? Those people jumping on bikes and going places without a second thought are giving me a bad name. Make them stop it! Is it about personality? A certain proportion of the population are intrinsically rule based – everything would work perfectly if everyone would just follow the rules all of the time. Which while being undeniably true is also a never ending source of disappointment for those afflicted with it on account of the rest of the human race being round pegs. Creating a law to force people to follow their rules would surely solve the problem. Whatever it is, it’s a distraction. The question we ought to be asking is is it desirable, is it even possible, to get large numbers of people to dress in a particular way most of the time? Looking around, people who are required to wear some form of identifiable clothing are either paid to do so, are participating in a sporting activity, are children, or are being persecuted for political ends. One of those is usually backed up by the use of a police force to coerce compliance. 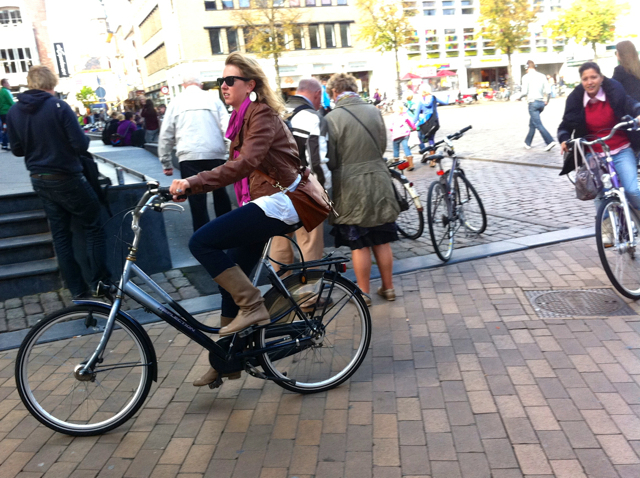 Making short journeys by bike normal and convenient requires using a bike to be normal and convenient. Making cycling abnormal and inconvenient for the majority will do what? Well, it’ll prevent more people being killed and injured on bikes by the tried and tested method of keeping people off bikes in the first place. If we’re at all serious about making bikes a useful decongesting mobility aid for the short journey, the very niche where it has the most chance of success, we need to start with a common understanding of what normal and convenient is along with some measures to ensure that convenience doesn’t come at the expense of an unacceptable increase in risk of injury. A solution predicated on discrimination won’t work and isn’t worth having. If we can agree on that I can get on with part 3 of Using a Bike for Short Journeys. If we can’t, you’re wasting our time. This entry was posted in Oxfordshire Cyclist and tagged bikes, politics, roadsafety, society, uabfsj, words on Sun 1 Dec 2013 by kevin hickman. That’s the title of a motion I presented to the AGM of the Cycling Campaign for Oxford on Thursday 21 Nov. This motion commits Cyclox to campaign for an inclusive cycle network which is suitable for every type of cyclist. An inclusive cycle network is one which allows all people regardless of ability to access all of it, whether they are a fast commuter, a disabled person, a family group, an elderly person or a child. A cycle network which requires, for example, a disabled person to take a longer more circuitous route, or impedes access to users of bikes which are not standard two wheelers, is inherently exclusive and will be lobbied against by Cyclox. However, it generated a very healthy discussion about what a cycle network is, what it looks like, who it’s for, and how it can be achieved. That discussion had to be cut short when it got to 10pm, but it shouldn’t be left there. It’s important. 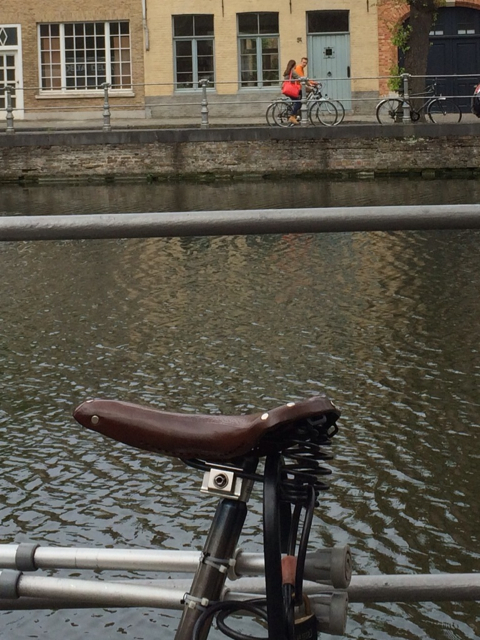 This entry was posted in Uncategorized and tagged bikes, disability, oxford, words on Sun 24 Nov 2013 by kevin hickman. This entry was posted in Uncategorized and tagged words on Tue 5 Nov 2013 by kevin hickman.